I'm a cancer survivor, I have received acupuncture for several years and the treatments have tremendously helped me in improving the quality of my life. I have seen Dr. Liu over two years, I'd say acupuncture has greatly helped my arthritic pain in my hands, neck and lower back, I am now able to enjoy a better and healthier life! As a long time T'ai Chi practitioner, I find that twice monthly acupuncture sessions provide a complimentary and preventative balance to my health and lifestyle. Everyone at Milwaukee Acupuncture and Health Center is courteous and professional. I often recommend their services to my students. I have fibromyalgia and this place rocks! I've been coming here for over 6 months and I'm 80% back to normal. Each visit is adjusted towards the patient's needs at that time and an approach is created for full mind, body, and soul. The staff is super friendly and Dr. Liu knows his stuff. He studied in China and is so delightful to work with. If you have pain, go in for a consultation today. I had been having neck and shoulder pain for the past ten years, it affected my driving, sleeping and daily activities. I had tried many different things with no ideal results. 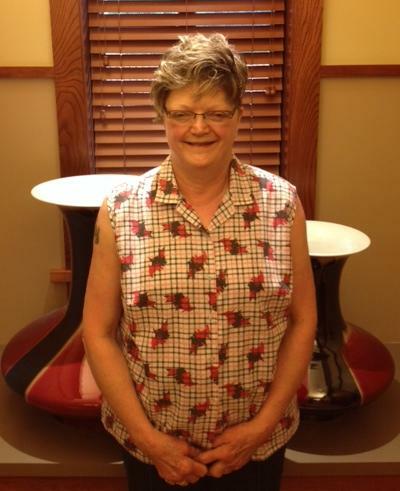 after receiving treatments at Milwaukee Acupuncture and Health Center I am feeling great! This the only treatment that worked for me. I’m 57 years old. About 25 years ago, I started noticing pain in my joints, primarily in my lower back, knees and elbows. As the years passed, I noticed periods of intense pain. In 1988, I saw a doctor for pain my forearms and legs. After some testing, which showed nothing, he came up with a diagnosis of Fibrositis. That diagnosis is no longer used; it has been replaced with Fibromyalgia. In 1996, I started getting intense pain in my feet. The podiatrist found nothing in X-rays. I have been wearing orthotics ever since. I did some research of my own, and decided I probably was suffering from Fibromyalgia. I went to a rheumatologist, after several hundred dollars, and several weeks with blood tests etc, he officially diagnosed it as Fibromyalgia. I was also diagnosed with disc disease in my lower back. The nerves branching out form the spinal cord are being pinched by the vertebra and disc. Over the years I noticed my work suffered in times of intense pain. In fact, as the years passed, the periods with out pain became less frequent, and were considerably shorter in duration. As of 1999, I was in pain pretty much all the time. It was so bad, I had trouble doing the things I wanted and loved to do. Last year I had the opportunity to retire, and this condition was instrumental in helping my make up my mind. Now I worried if I’d have the time and health to enjoy retirement doing what I like most. My hobbies include: traveling, hiking, biking, trout fishing, hunting in the mountains, outdoor photography, canoeing, etc. Last August, at the urging of my wife and daughter, I make an appointment with Dr. Liu. I don’t mind saying, I was skeptical. I didn’t think it would help, but I’d try anything to feel better. It took about one month of treatment before I started to notice much improvement. Gradually, the pain became less intense, and I was starting to have periods without pain. My energy levels have increased dramatically. It was working, and is still working! I still have some pain, but it is under control, and I am doing the things I want to do. My insurance doesn’t cover acupuncture, but what they have covered (at much higher cost) didn’t work at all. I have no problem paying for the treatments. They are certainly worth it to me. ...My journey with Fibromyalgia has taken a promising turn. This Fall, after hitting bottom, so to speak, with a very painful summer, I decided to take the Mayo Clinic’s recommendation based on FMS patient research, to try Oriental Medicine for pain relief. My treatment plan, formulated by Dr. Chuan Liu of the Midwest Alternative Medicine Clinic in Milwaukee, WI includes acupuncture, low level laser therapy, micro-current therapy, neuromuscular massage, and Chinese herbs. The results have truly been miraculous… I have not felt this good since before my symptoms first appeared in the Spring of 2002, and I am filled with hope for the future. Thanks be to God! As you know I started seeing you in March. I was tired almost all of the time, had headaches daily, I woke up at least three times a night and would be up for half an hour or more each time. Just about every trigger point for fibromyalgia hurt. Many times it was so bad that I would snap at my husband when he would touch my knees or hips. There was always a constant ache all over. This had gone on for several years. I had gone to my physician and talked to her about the fatigue and pain. I would feel exhausted by 2:00pm, and had headaches almost every day. The fatigue would get to the point where I would ask my husband to drive me into work when he went to work because I was too tired to drive and afraid I would fall asleep while driving. My physician said she felt I had chronic fatigue and that the pain was most likely fibromyalgia since almost all of the trigger points were very sore. She had said I should try to take naps if it was possible for the fatigue and if the pain from the fibromyalgia became bad enough she could prescribe something for it. Every time I saw her for the past 4 years it was the same. I don't care for medication to take care of the pain. Most pain killers put me to sleep or make me so groggy I can't drive or work properly. I wanted to know what could be done to get rid of the pain or at least reduce the symptoms and I wanted to get my energy back. It's easy to say "take a nap in the afternoon" but very difficult to do when you are at work. The headaches were generally tolerable; I could work through the day, but my attitude was not as good as it should have been. Aspirin, Tylenol, etc. helped to quite them but usually did not get rid of them completely. Some of the headaches were bad enough that all I wanted to do was lie down. Since I began seeing you in March, I am feeling much better. My energy has increased. I don't feel tired as much and definitely sleep better. I have not had to ask my husband to drive me into work. The treatments also have significantly helped to decrease the pain from the fibromyalgia. I don't feel achy constantly, it doesn't hurt to move my shoulders and I haven't snapped at my husband for touching me. My headaches have even decreased in number and intensity. Now I rarely have headaches, if any, they were mild and lasted short time. The treatment has really helped my overall attitude. Overall I would say I have improved about 90% from the way I was before I started the therapy. It feels good not to ache all of the time. I didn't realize how much the pain and fatigue had really changed my life because it started slowly and I became accustomed to being in pain. Now I enjoy walking again, I don't feel so tired doing my housework and gardening, and I smile a whole lot more. Thank you for your help! I have suffered form chronic migraines for 30 years. For the last 15 years I have aggressively searched for some relief. 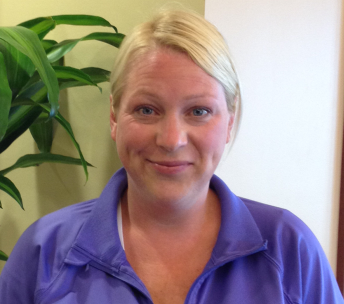 I have tried numerous dedications and a variety of physical therapy. I have seen several doctors including Chiropractors and neurologists I also participated in an experimental therapy program for Russian Doctors using Russian techniques. They were visiting America searching for American patients to see how we responded to their medical procedures and techniques for migraine suffer… After 6 months of treatment, going 3 times per week, I was migraine free, but only for 6 month before the headaches returned, and they were just as debilitating as before. I went through my adult life with chronic migraines. This means that almost every day of my life for the 30 years I was in pain to some degree (except for a treatment that would for a short time here and there). I was a single income household, there fore, I had to go to work feeling sick every day in order to get that paycheck. I am now 54 years old and thank God that I am fortunate to be retired. Over the years, my insurance company spent tens of thousands of dollars on medicine; the side effects of the medications were hard to deal with and created other problems for me. 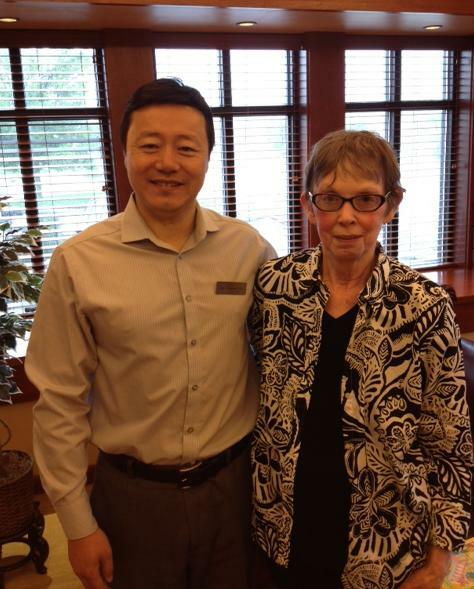 I recently had the opportunity to attend a free seminar and met Dr. Liu at Midwest Alternative Medicine Clinic. When I told him I came to find out about migraines and acupuncture, he told me without hesitation, “Linda, I can help you get rid of your migraines.” He said this with such conviction that I truly believed him. Let me tell you why I believed him. All of the other doctors told me I would always have migraines and I will have to take medication the rest of my life. But, I always felt there had to be something out there that would relieve me of this constant pain that I lived with for so long. Dr Liu was the first person to make a positive statement to me. I wanted to believe him, I needed to believe him and as he promised, Dr Liu has come through for me. Acupuncture, herbs and Dr. Liu’s other specific therapy treatment has relieved my migraines completely; within 2weeks I started feeling changes in the severity and length of my migraines. Within 4weeks the migraines were gone! My head has never felt so clear, my mind feels sharper, my sleep has improved and my energy is up. Overall, my disposition is so much better and I feel like I can resume a happier, healthier life with my new husband. This is truly a miracle in my life. Thank you, Dr. Liu. Almost daily severe migraine headaches disrupted my life for over twenty-five years. I have seen several doctors throughout these years. I tried many different medications, supplements and other therapies with minor and only temporary relief… However, severe migraine pain continued to drastically limit the quality of my life. A colleague of mine told me about Dr. Liu at Midwest Alternative Medicine Clinic. Because I was so desperate, I decided to try one more time even though I was skeptical. After three acupuncture treatments I found myself free of head pain! I have remained free of severe migraine pain for almost three months now through Dr. Liu’s treatments. Dr. Liu offered an individualized treatment plan including acupuncture, trigger point therapy and herbs. I found him to be extremely knowledgeable with a strong desire to relieve my pain and eliminate the cause. His entire staff is very competent and caring. I look forward to working on other health issues with a maintenance plan. I am grateful to have been led to Dr. Liu and his expertise. I have suffered form insomnia for almost two years and have tried to deal with this problem on my own. As much as I did not want to use sleeping pills, I found that I did need them to fall asleep and stay asleep. Along with other problems probably due to a hormonal imbalance, I did reach a breaking point… I was referred to Dr. Liu at the Midwest Alternative Medicine Clinic; I knew from the first treatment that I would get help I needed. Dr. Liu explained the main objective of Acupuncture and herbs, and laid out my personal treatment plan… It has a little over a month and I haven’t had to use sleeping pills at all. My sleep has greatly improved and along with that my energy level is much better. I never would have thought that I would have improved so quickly. Thanks to all. Thank you so much for your valuable time and efforts to help me overcome my chronic fatigue. After a stroke on January 10th, 2001, I have experienced vision loss in the peripheral left field of both eyes, along with chronic fatigue. I am a 3rd grade teacher and luckily have been able to continue successfully in my profession. Teaching can be extremely stressful, and at the end of last year I felt as if I was walking around in a fog. The brain fog made it hard to just to get through each day. I desperately wanted my energy levels to return so I could feel normal and live with vim and vigor… I also began feeling pain in my head, neck, and shoulders due everyday life and stress. I was encouraged to try acupuncture from my massage therapist, and am so happy I tried it. I found Dr. Liu to be very professional and intuitive. I did two weeks of intense treatment three times a week. Within 2 treatments the brain fog had lifted, I am continuing on a maintenance program to help get me energized for the upcoming year, and stay that way. Different types of massage, along with herbs, and the acupuncture therapy has kept my head clear and slowly the energy levels have been returning. I finally feel like I can handle my job and life without being so tired all the time. Thank you for working with me and God Bless you and your team of care specialists. Thank you for all the help you've given me. Before I began seeing you, I was always feeling sick due to allergies and a weak immune system. Now, after many excellent treatments, I feel much healthier. I also feel much more relaxed and calm. In the past I've received treatments from a variety of different acupuncturists. The level of skill and professionalism you possess is by far the best. Also, the quality of the herbs available at your clinic is far superior to anything I've ever had before. Thank you again! Thank you for everything you've done for me. 1 haven't taken any sinus medication (Sudafed or Benadryl) in several weeks and I'm only taking the minimum dosage of depression medication. (I usually take more this time of year). My asthma is also better. Recently I met some friends that I hadn't seen in quite a while. They noticed a difference in roe, too. They said I look brighter and healthier. You are the only doctor I've ever had that worked to improve my overall health instead of just my symptoms. Thank you very much. I had been suffering from repeated sinus infections which caused severe swelling in my nasal passages along with throat inflammation and severe ear pressure. For approximately one year's time, everyday I experienced these painful symptoms I felt as though my head was "going to explode". Throughout this time, I visited 4 doctors who prescribed numerous antibiotics as well as other over-the-counter remedies. Nothing worked. It came to a point where I just could no longer function in my life. This all changed when I discovered Dr. Liu and the Midwest Alternative Medicine Clinic (MAMC) through a local newspaper advertisement. After my initial consultation with Dr. Liu, I strongly believed that he would be able to deliver relief for my problem. And thankfully, he has done so! Implementing the centuries old Chinese treatment of acupuncture along with a healthy dose of Chinese herbal capsules that are tailored to treat my specific problem, I feel virtually 100 percent improved. I have been receiving treatment from Dr. Liu for a year now, but I noticed dramatic improvement in my condition in just a couple of months. Therefore, I strongly encourage anyone who is enduring ANY type of health issue to make an appointment at the MAMC with Dr. Liu to examine your treatment options. Dr. Liu and his WONDERFUL assistant Angie are completely dedicated to their patients and focused on your complete satisfaction. Together they work diligently to create an aura of comfort, peace and tranquility at the MAMC for their patients in an environment that is quite aesthetically pleasing. To maximize the health of your mind, body and spirit, please visit the MAMC. Thank you again Dr. Liu and Angie! My road to wellness began with Dr. Liu in June 2004. I was experiencing pain in my leg, where my leg muscles attached near my hip. My body was quite fatigued because of the constant pain. My friends told me about Dr. Liu and urged me to see him. The pain was very bad and inhibited my lifestyle in many ways. I could not work out, ride my bicycle, stand at work or walk distances longer than '/2 a mile without the pain being unbearable. Dr. Liu's evaluation of my symptoms and pain level intensity dictated the frequency of my visits. Dr. Liu and his staff administered acupuncture, micro-current therapy, massage therapy and herbal supplements…The pain began to subside and in August, after some much needed rest, I felt the pain diminish to practically nothing. My appointments became less frequent. By December I was pain free and am only seeing Dr. Liu for Maintenance Care once every eight weeks. I can walk great distances now and stand at my job for my eight hour shifts without pain. My experience with Dr. Liu and the caring staff at the clinic has changed my life. I am now living healthy and pain free. I am a 78 year old woman, very healthy and active but this experience with pain was the worst in my lifetime. A year of misery until Acupuncture. It had been a long year of trying therapy and many medications to ease my pain. I spent most of my time in bed, it was my only relief. Then came pain management clinics where I received a series of six epidurals that provided only temporary relief. I was sent to a specialist in another city for more of the same. I had many tests, x-rays and MRI’s performed. I had a stubborn and complicated case of bursitis and 2 bulging discs causing severe pain daily. I was depressed and losing my hair from stress and medications I wanted all this to stop. I read an article on acupuncture, and had to try it. Dr. Liu was highly recommended to me. Knowing all I’ve been through, he started his therapy. I said to Dr. Liu “You are my last hope.” After a few sessions of Acupuncture, Neuro-Electro therapy and massage I finally felt a breakthrough. The outcome so far has been a blessing. No more drugs, no daily vicadin. I am more than half-way to a complete recovery. I am so grateful & thankful to Dr. Liu and his therapist. When all other therapy failed it was Acupuncture that gave me back my life. My name is Lynne. I am an R.N. and have had a lot of health problems. My neck is almost completely fused and I have a fusion in my back. This last surgery was in 2006 and by December, 2007 I still had severe back and neck pain, fatigue and was prescribed many potent pain killers. In early spring 2008 I came to Dr. Liu, hoping for pain relief. With his acupuncture treatments I went from 3-4 vicodin for pain daily to no pain meds within 6 weeks. I then developed severe breathing problems and Dr. Liu has helped by working on those areas with acupuncture and herbal therapy. We recently discovered that this is a neurological disease and he has adjusted his treatments for this. My Internist, Pulmonary Dr., Cardiologist and Neurologist all approve of Dr. Liu and they now refer patients to him. I recommend Dr. Liu to anyone with health problems. He is very straightforward and makes treatments affordable. Let this healer help you too!! Thank you for all you have done for me. When I first came to see you I suffered from Depression and Arthritis in my knees and thumbs. Sometimes the pain and stiffness in my knees was so great that I had difficulty going up stairs. My thumbs were stiff and were painful to move. My Depression is so much better now. I can walk again without pain or difficulty. My thumbs have more feeling in them now and the pain has subsided. I have greater function of my hand and can complete tasks that in the past were painful. You and your staff are dedicated and wonderful to work with. Thank you, now I can begin to enjoy life again. I have lost 70 pounds in 9 months! I am a 60 year old "yo-yo dieter" who put on weight in recent years due to stress from menopause, a move, my job, and empty nest syndrome. I "weighed" the pros and cons before signing up for a program. My insurance wouldn't pay, but it hadn't paid for any other weight loss programs 1 had done either. Would acupuncture hurt? Guess I wouldn't know until I tried it (and, no, it doesn't really). Dr. Liu spent a lot of time with me at my consultation, answering my questions and allaying my fears. After the very first treatment, I was not tempted to snack, and I ate only when my body told me I was hungry. I craved nutritious foods-not sweets, salts, or fats. I looked down at my plate and asked, "Whose plate is this?" It certainly did not look like my usual piled-high plat, yet it was what I had chosen for myself. Now, I look at my jeans as I take them out of the dryer and say. "Whose jeans are these?" It has been a wonderful journey! The weight loss was slow and steady with several plateaus. With increased energy, I added walks to my day, weather permitting. I noticed that my skin felt better than it had for years, and the aches associated with carrying around extra weight dissipated. I feel ten years younger. I thank God for putting Dr. Liu and his staff into my life. Not only did I benefit from their expertise, but their compassion and encouragement as well. Thank you, Dr. Liu and Angle! I was convinced by my daughter to try Dr. Chuan Liu's Clinic, MAMC. Just one more time to try to lose many excessive pounds. Well, it is working very well, and it's easy. I have lost 30 pounds and still going strong. I have also lost all the lower back pain, which has been bothering me for a long time. I feel more energetic now than I have in 20 years! Dr. Liu and his staff are wonderful caring people. I guess it is never too late to try something different. I AM 75 YEARS OLD AND MOVING RIGHT ALONG! My name is Karen, and I have early onset of Parkinson’s. Driven by a desire to minimize the use of pharmaceuticals, I sought out natural/alternative treatments which have had varying degrees of success. On Friday June 13, 2008 (this was my lucky day!) I met with Dr Chuan Liu who is an acupuncturist, offering this and other complementary therapies. I started treatment on June 16, with my chief complaint being severe and continuous right hand tremors. Positive results occurred very quickly!! After 5 treatments, I noticed a 50% reduction in tremor frequency and severity! It wasn’t just me that noticed my improvements. My co-workers, customers and physical therapist all noticed and commented about them. In addition to the reduction of the tremors, I am also very grateful for these benefits: most of the time I had to be mindful and very focused in order to use my right arm whereas now, my arm is beginning to function and do tasks without me giving it a second thought! And guess what…I’m sweating like a pig when I get hot!! Never thought I’d be so happy to sweat! (I recently found out that not sweating was also a symptom of Parkinson’s). The treatments also tremendously helped my bladder function so that I am able to have at least five hours uninterrupted sleep which never happened before, I always had to use restroom almost every half hour during the night. I have regained my energy and I don’t feel depressed like before. The best part of all these benefits; they were all achieved without any dangerous side-effects! Parkinson’s is a disease of many symptoms, each one worse that the other, however, I have found solutions! People please… be your own health care advocate, do not limit yourself to traditional medicine as the only solution! The magic key to finding solutions is having an open mind. You have absolutely nothing to lose. What you will gain is your life back! With the mention of my name, Dr. Liu will give you a free consultation! Should you elect treatment with Dr. Liu, he is offering special reduced rates for Parkinson’s patients. Thank the Lord, There is Hope! I was diagnosed with Stage III Breast Cancer in 2005. After going through months of chemotherapy, I experienced some major side effects. Of course there was the inevitable and traumatic hair loss, neuropathy in both feet & some fingers on both hands, debilitating hot flashes, some unbearable bone pain along with anxiety/depression, low energy, fatigue and sleeplessness. I also had sciatica. After hearing a television news report regarding post breast cancer patients using alternative medicine -specifically acupuncture - to relieve neuropathy and hot flashes, I made a few phone calls. I found Dr. Chuan Liu at Midwest Alternative Medicine. Dr. Liu explains everything and truly wants a patient to feel better, whatever it takes. Well, Dr. Liu has helped me enormously. I'm starting to get more feeling in my feet. I now can wear shoes for longer periods of time, my hot flashes have minimized and my hair has started to "sprout" in the thinned out areas. My energy level has gone up and my mood swings have "chilled". With Dr. Liu's treatments and Chinese herbs, I feel like I'm starting to get my life back on track. Dr. Liu is very compassionate and extremely dedicated about helping his patients. He will work on every aspect of your well-being. He truly wants to see his patients get the best results. Thank you Dr. Liu. I began to have pain in my left hand in 2008 and my primary care physician referred me to a hand specialist. The specialist examined my hand and told me that I had developed arthritis in the thumb joint and administered a cortisone injection. He hoped the injection would relieve the pain and it did - for about 6 weeks. When the cortisone wore off the pain in my hand gradually increased until my hand ached continually and it became painful to hold even light items in my left hand. I needed to do something but over-the-counter pain relief was not working and I was concerned about getting repeated cortisone injections due to the possibility of joint damage that they can cause over time. I met Dr. Liu and he assured me that he could help. Dr. Liu began treating me with acupuncture and within just a few visits I noticed that my hand hurt less and my grip had improved. After 6 weeks I was basically pain free and have remained that way with occasional maintenance visits. I had heard of acupuncture relieving headaches and back pain but I really did not think it could help arthritis so I was a bit skeptical at first. However, the treatments I received really helped me and I would recommend Dr. Liu to anyone. I started smoking when I was 16yrs old, little did I know then that I would be smoking for 25 years, and have such a hard time stopping. Over the years I have tried many different methods to stop smoking, such as hypnosis, nicotine gun, and prescription drugs not to mention the horrifying "Cold Turkey" method with no success. I was skeptical of the Smoking Cessation method through acupuncture, although it was the only method I haven't tried. After the consultation with Dr. Liu I was optimistic, for he explained to me how my body was addicted to nicotine and how this stop smoking method will naturally decrease my addiction to nicotine with less withdrawal than other methods. He was so RIGHT! This has been such a positive experience for me, and also for others that work and live with me. I actually have been happy, smiling and laughing, which is unheard of with other stop smoking methods. To all other smokers out there, that would like a positive experience in your journey to become free from smoking addiction, I highly recommend Dr. Liu. He has a positive, supportive attitude that gets you to your wanted destination, A Smoke Free Life. For more than 10 years, I have suffered with a respiratory illness, and then I met Dr. Liu. Now the “iceberg” of this affliction is melting with every passing day. In addition I am experiencing improved memory, increased stamina, normal digestion, enhanced mood and a decreased need for prescription medication. Dr. Liu you have given me a new life. Now instead of preparing for the “other side” I am looking forward to a long healthy life with renewed expectations. I have truly been touched by the “magic” of Traditional Chinese Medicine and felt compelled to share my story. Thank you Dr. Liu, you are absolutely among the best medicine men in the whole wide world! I have been treated for Restless Leg Syndrome since 1987. The prescribed pills did not help relieve the frequency and severity of the symptoms associated with moderate to severity of the symptoms associated with moderate to severe Restless Leg Syndrome. As a result, my health was becoming a problem. I decided to try alternative medical treatment. After meeting with Dr. Liu, I have had treatment and I am elated that the frequency and severity of the symptoms has decreased approximately 85 percent. I suffered for years from lower back pain shooting down into my right leg. I went through x-rays, MRIs, consults with two Orthopedic Surgeons, one pain specialist, received four epidurals, and went to three physical therapists. I was unable to take pain medication due to allergies. I ended up in the hospital twice because of high blood pressure and a rapid heart arrhythmia caused by pain. There seemed to be no help for me. It was very depressing. Then I heard of the Midwest Alternative Medicine Clinic and Dr. Chuan Liu. After several Acupuncture treatments, my severe pain is gone, and I can again better enjoy life and the things I need and want to do. I was treated by you for my smoking addiction 6 months ago. I had to send you this note. I believe you will be as happy as I am to know as of today November 11th I am celebrating, I am still SMOKE FREE! Not even a puff from a cigarette, Dr. Liu THANK YOU!